Rummy 500 - Popular card game online! Invite friends and have fun! Rummy is one of the most popular card games in the world, right after poker. Rummy 500 is a variant of Rummy. It is designed for two players and is played until one player reaches 500 points. Rummy originated in the beginning of the 20th century and it is most likely based on the Mexican game ‘Conquian’. Conquian, on the other hand, is based on a Chinese game called Khanhoo, and if we keep looking back, we can find the roots of Khanhoo in ‘Mahjong’. Rummy, under different names, is a game known in almost every corner of the world. The most striking feature of rummy is the matching and discarding of cards, which is after all a regular feature of many other games. Despite this, rummy years at the forefront among card games, next to poker and its younger brother Brazilian rummy, or classic buraco. There are many theories about how rummy became established. Among the most popular is the close relationship between poker and the rise of the history of rummy in the United States. The first indications are that the French brought the game with them to the newly discovered continent, namely America, playing poker with cards. Over the years, a variant of the game of the game, today called rummy, was created. This theory could be supported by the strong similarity between some card hands or rules. The second theory is directly related to the US. It assumes that the name rummy comes from the popular 1930s and 40s drink Gin Rummy. This was a favorite of high-proof drink of many Hollywood stars, and the game itself was a perfect activity during breaks in filming movie scenes. In the 21st century, online versions of well-known card games mean that you can test yourself at any time of the day and night against players from all over the world. There is therefore no problem finding a suitable opponent, even for rummy 500, because GameDesire is always available to thousands of users who are ready to play. Along the way, you can get to know interesting new people not only from your own country, but also across the globe. 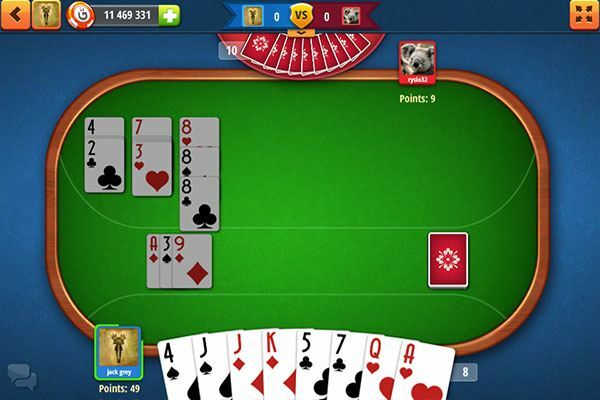 Rummy does not impose, as, for example 1 000, a certain number of players for each game. It is practically unlimited. The only rule is to use more decks (one has 52 cards), if the game has more than three participants. Before the game, the number of jokers (two, four or six) is agreed. The aim of the game is to get rid of all your cards. The winner is the person who does this first. The game of rummy begins by drawing cards to select the dealer. This is the player with the highest card. The order is as follows: Joker, Ace, King, Queen, Jack, 10, 9, and so on. If cards of the same value are drawn, suits are used to determine the dealer, in the order spades, hearts, diamonds and clubs. The dealer gives himself 14 cards, and the rest of the players 13. The remaining cards are placed on the stack so that their values are not visible to any player. The dealer shows one card from his deck and puts it on a separate discard pile. Another player draws a card from the stack or the discard pile, then places an card not needed on the discard pile. When the stack is exhausted, the discard pile, minus the last card placed, is shuffled and placed face-down. Winning rummy 500, as well as getting rid of all your cards as soon as possible, consists also of gaining 500 points for a hand. This usually takes a few rounds. Points are earned melding combinations of cards on the table. Each card has a points value (for example, the king, queen and jack are worth ten points). Points are deducted for the cards that you still hold when your opponent ends the hand by getting rid of their last card. 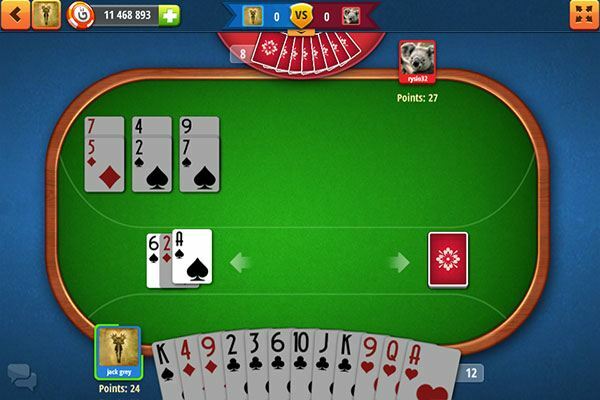 Each player must strive to have in their hand runs, three consecutive cards of the same suit (for example, Q ♥ J ♥ 10 ♥), or three cards of the same value (sets – for example, 8 ♥ 8 ♣ 8 ♠). After completing a sequence, the player can hold it, or put it on the table. 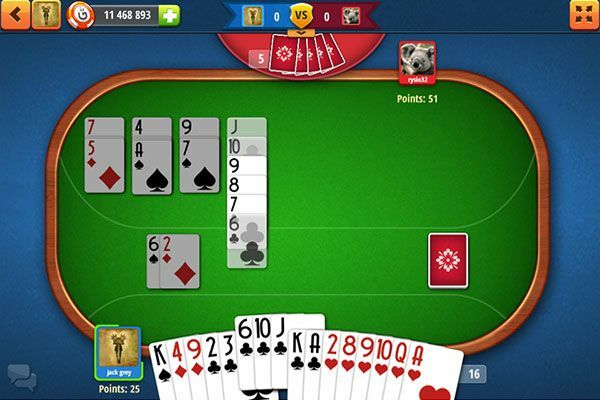 In the game of rummy, players can add cards to their opponents’ sequences, in order to get rid of their own cards faster. Jokers may play a major role in a hand, as they can be substitutes for any card. It is rare for a player to beat their opponents in one play. Of greatest importance are perceptiveness and taking advantage of other players’ errors. You probably played rummy with family or friends, more than once. 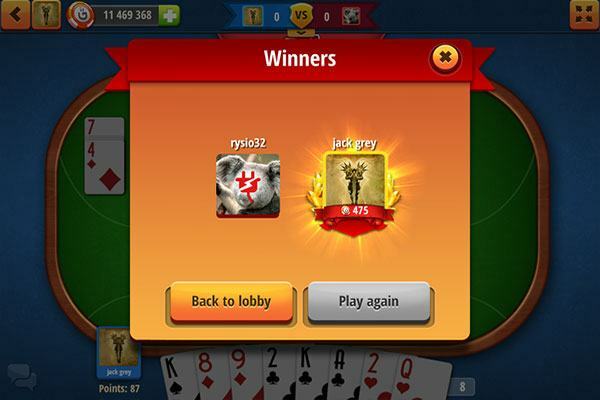 Isn’t it worth now trying your hand at rummy online?